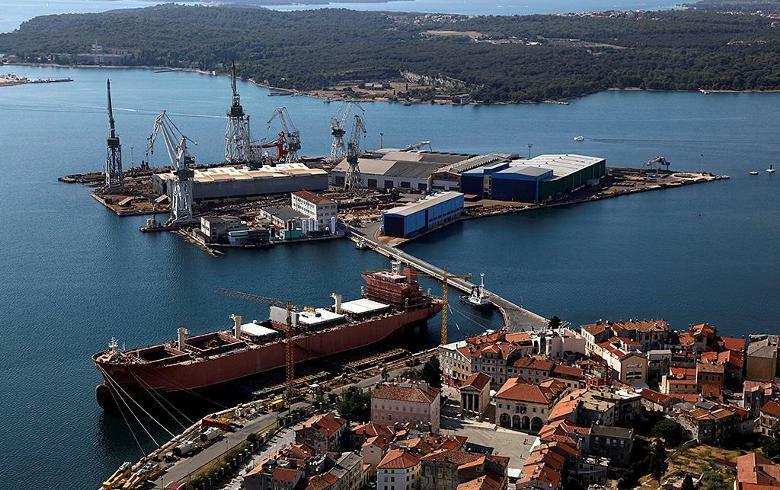 ZAGREB (Croatia), August 22 (SeeNews) - A total 4,500 employees of Croatia's shipbuilding group Uljanik are on strike from 7 am CET on Wednesday, demanding to be paid their delayed July wages, local media reported. The employees, who blame the management for the company's financial troubles, said they will strike until their wages are deposited into their bank accounts, news broadcaster HRT reported. "The management has lost its credibility, employees have lost their confidence, not just the employees, but also suppliers and contractors," trade union representative Marina Cvitic, told HRT on Tuesday. On Monday, Croatia's largest opposition party, SDP, called on the government to intervene in Uljanik by implementing legal procedures modeled on the special law adopted to save ailing concern Agrokor. The law on crisis administration, popularly known as Lex Agrokor, was passed in April last year to shield Croatia's economy from big corporate failures, such as the downfall of the biggest private concern in the country. Asked about implementing the provisions of that law in Uljanik, Croatia's prime minister Andrej Plenkovic has reiterated that the government is communicating with both Uljanik and the European Commission in an attempt to find a solution to the company's financial woes, the government said in a statement on Monday. Uljanik shipyard, the group leader, alone employs some 1,800 people and has been in financial difficulties for several years due to the adverse effects of the global financial crisis on the shipbuilding sector in general which has led to a drop in orders for new vessels. The company's new strategic partner, Kermas Energija, had sought a loan from HBOR to pay wages but its request was rejected. According to local broadcaster HRT, HBOR has refused to extend the loan because the money was intended for salaries, not for the company's development and investments. Employees of a second shipping company, Brodotrogir, owned by Kermas Energija are also threatening to strike over late wages. The company said on Tuesday it will pay out wages within the next five days, however if not, the employees are set to join their Uljanik peers. The Uljanik Group comprises Uljanik shipyard as the group leader and 12 other units. In March, Uljanik said it has chosen local company Kermas Energija as its strategic partner under its call for recapitalisation.